These are tiny little things. I once again was expecting it to be about the size of a Painted Lady (Vanessa cardui) but they're smaller then that. 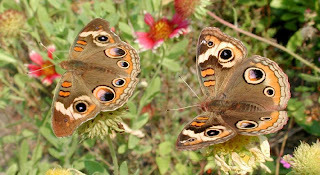 Not only that but there were quite a few of them flying about and in the "puparium" freshly emerged were tons of Buckeyes. Not only that. But I got to see one eclose! That was a yummy epic treat. It happened so quickly I was shocked. I was just standing there watching this beauty expand it's wings like someone blowing up a balloon only a bit slower. 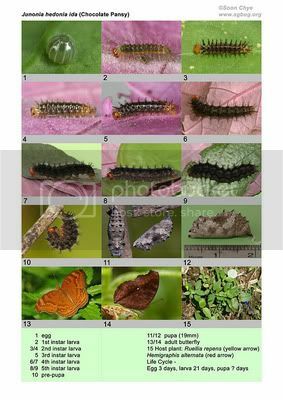 This is interesting as this lists the Chocolate Pansy as Junonia hendonia ida.....WTF? Everywhere else I've seen it it's Junonia iphita with the synonym being Precis iphita. WTH is going on here? Saw 2 of these. Got pictures. Not much to comment on these other then they're gorgeous. *^^* However I will comment on where this person who made the life stages plate got the name "Hedonia ida" from. AFAIK there's no Chocolate Pansy with that name past or present. However when I Googled it it came up. 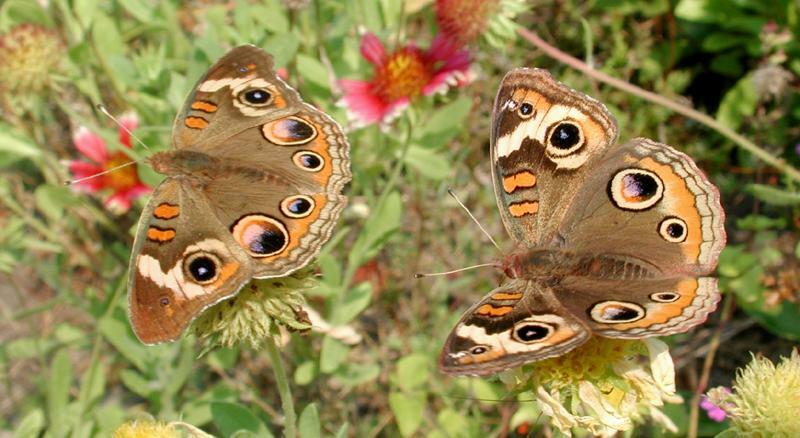 Soo Idk....What's the difference between Junonia iphita and J. hedonia ida? Because they look the "same" to me. Will back to you on this. Research!